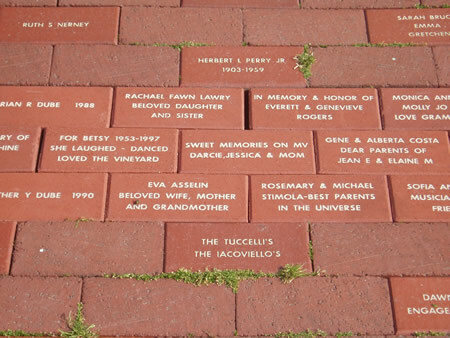 Dedicate a brick to your loved one. Ensure that they are remembered as an integral part of Oak Bluffs. •	Bricks have been placed around the bandstand in honor, memory or in celebration and by the War Memorial for Veterans. $100.00 allows 4 lines with 21 letters and spaces per line.